Finished May 2017. Final score: 2 / 5. This purchase came bundled with book 1. This book was slightly stronger than book 1, but at this point I am quite tired of the Gentleman Bastards. Somehow, Scott Lynch managed to craft thieves that consider themselves honorable. The Gentleman Bastards have now taken to the high seas. I enjoyed learning some ship lingo. The part of Locke trying to be a ship captain was supremely entertaining. Unfortunately, that only lasts for a little while. The other highlight is Locke's casino trickery. There are lots of little gems in this book, mostly with regards to Locke's ability to talk his way out of the impossible. The book is just too long. I'm growing tired of the series. A particular nitpick: The book started with a cliffhanger preview of a scene that happens much later in the book. I don't understand the purpose of this? Is it to entice me to keep reading a book already purchased? Once I did get to that scene, I was disappointed to find how minor a scene it was. Like before, Book 2 came to a nice ending. The reviews of Book 3 were mixed, so I won't be buying. 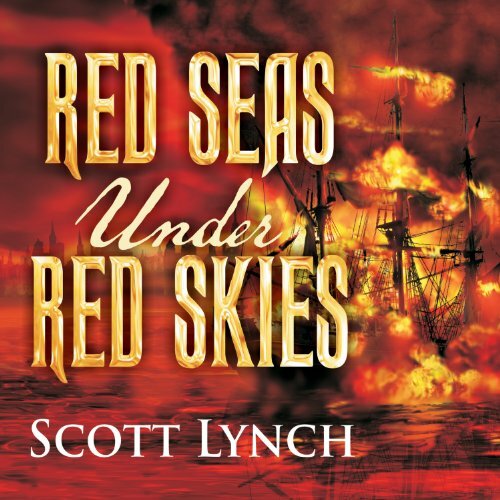 Discuss Red Seas Under Red Skies (Book 2) in the forums.